Check "Hi-Res thumbnail" to get better quality. 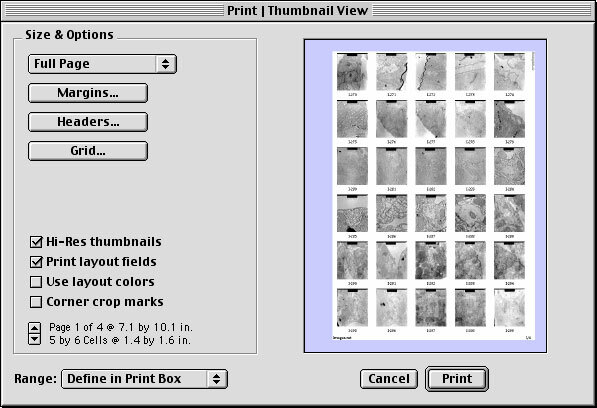 Select "Print Options" menu and check "scale to fit Medea"
Unlike conventional photo printing, the printing through inkjet or laser printer makes image dull. Using unsharp mask filter, it is possible to produce the edge effect which usually appeared in photo priniting. This process should be applied just before finish work and save to new file.